Is Are My Meds Safe for my Baby useful for pregnant and breast-feeding mothers? Given the risk, can physicians feel comfortable recommending this app to pregnant women? One of the more difficult concerns when caring for women who are pregnant or lactating, is whether a medication being considered for treatment of a condition is safe for the infant. This app attempts to address that need. It was developed by LVDG SARL, which on exploration of the website, appears to be a subsidiary of ICAR, a group of French physicians and pharmacists. Opening screen gives the user a few options, an information button, disclaimer, facebook, and email choices for sharing the app, and then the main button for checking medications. The information screen also gives a quick review of why pregnant and lactating women need to check medication use. 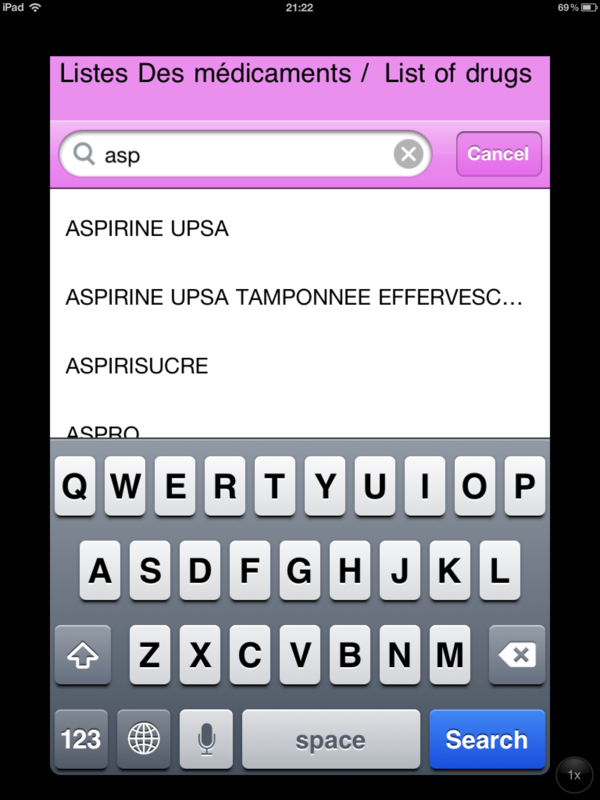 Checking medications is easy, the user utilizes the search line, typing in the name. The drug is categorized based on the FDA method of classifying medications in pregnancy. 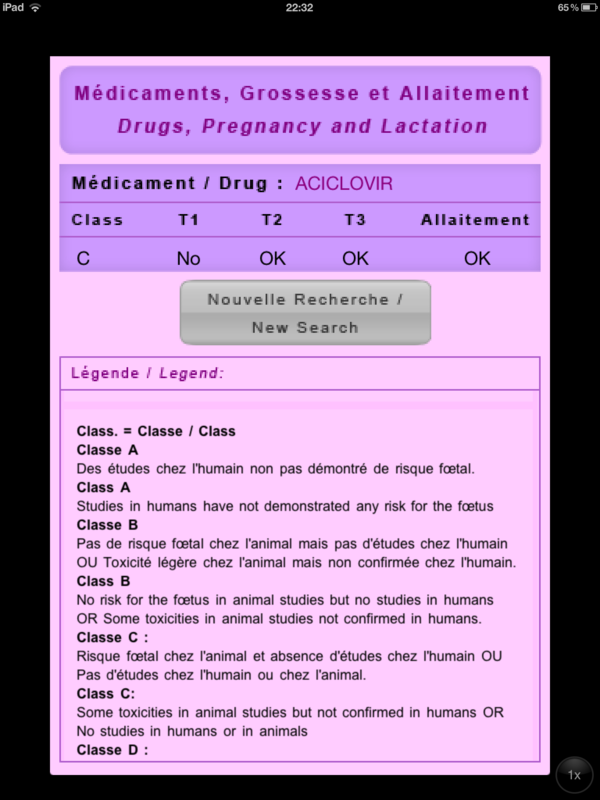 Pregnant and lactating women could benefit from an accurate app that evaluates medications based on evidence and informs them regarding the safety of those drugs. This app does that. The authors used evidence-based medicine to rate the drugs in the app. The ratings appear to be based on the USA FDA basis of rating drugs in pregnancy. No direct studies of utilization by pregnant or lactating women of medication safety information and outcomes was found by the reviewer using Pubmed, Google Scholar, and Google and the following search terms: “pregnancy medication utilization” “pregnancy patient utilization of drug safety” “Medication safety in pregnancy”. Because the app is French in design and use, English speakers may find it limited in usefulness, despite the fact that all entries are in both languages. Unable to recommend its use for patients or for physicians looking for an medication safety app to recommend to their pregnant or lactating patients.